You GUYS! Dillon turns ONE on Sunday! How is that possible!? I am seriously confused as to how the last year has gone by. While it was definitely not the year we expected, it was truly the best ever. He is the greatest thing I’ve ever done in my life and we are so insanely proud of him. His one year update will be up on the blog next week after his doctor appointment, as well as snaps from his party, so stay tuned for that! My family came in town yesterday and Mike’s family is coming tomorrow and the big bash is on Sunday! We cannot wait to celebrate his little life with everyone who adores him so much. For now, here is what I’ve been loving this week. This lace top is really stunning. I caved and bought this and do not regret it one bit! Did you grab anything from this collection?! 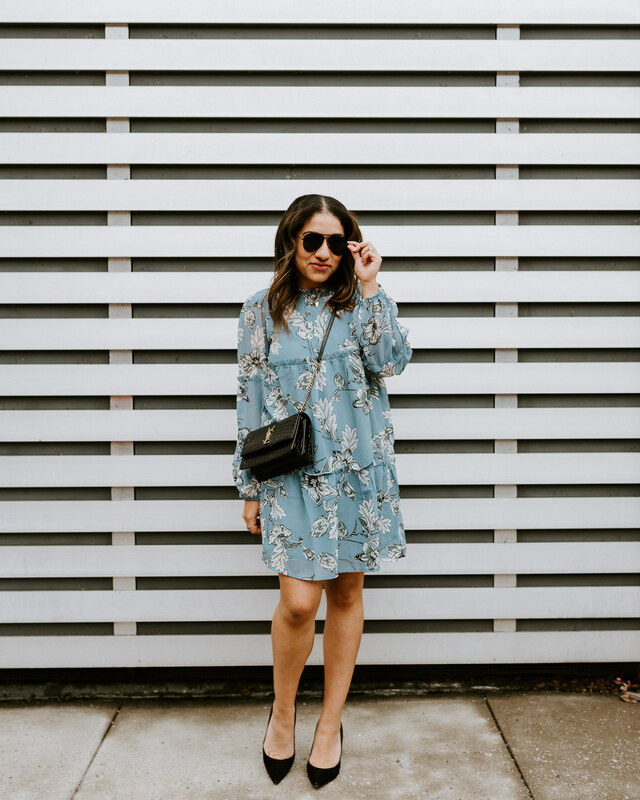 This dress is sweet and feminine and perfect for fall [plus it’s under $100]! I love this video from Kalyn on how to wake up earlier. I will definitely be referencing these tips for a flawless kid’s party. This post from Dana on “finding your why” is a great read. Chic, light layers for the changing temps. The cutest camo tee for fall.